That I’m reading a memoir this week is either a happy accident or serendipity, depending on how you view the world. Friday morning, as I was heading for an appointment that was guaranteed to include a waiting room, I grabbed a book off my to-be-read shelf. After three months of focused studying, I was looking forward to some simple pleasure-reading. My course paperwork was finished, and ready to post, the new classes would not be starting until mid-April. The long Easter weekend could be given over to indulgence. I don’t know how I missed knowing that Fever Pitch wasn’t a novel. If I had, it would have been shelved with the other memoirs that I’ve been gathering as background for the Writing Family Histories course that is next on my list of classes to prepare, and perhaps I’d be writing this post next week. Instead, I was several pages in before my suspicions were roused. That’s the thing with first person narration of course, when it’s done well, it should convince us that the character and their world is as real as we are, even when we know it’s a fiction. The thing that tends to give memoir away is usually shaping. It can be tricky to translate the random, scoincidental nature of life as most of us experience it, into a convincing novelistic form. 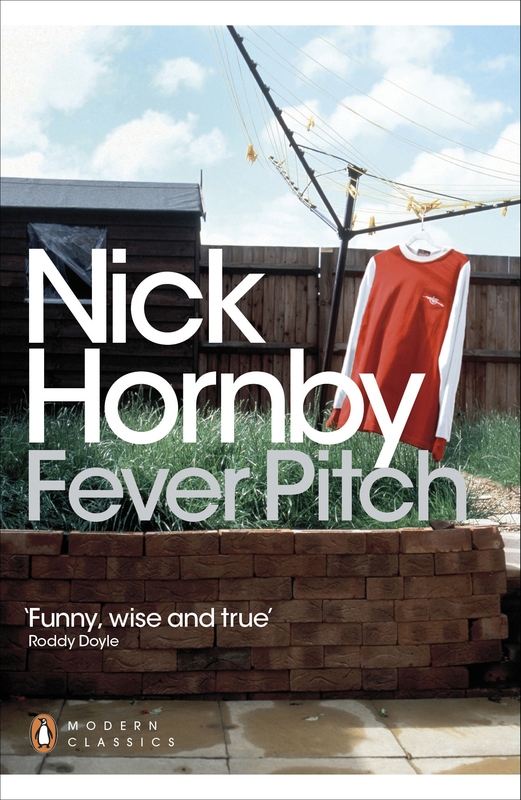 Nick Hornby has shaped his life around an obsession with football in such an entertaining way that I’m hooked. I still couldn’t answer a pub quiz sport question, but he has helped me understand something about the need so many people have to cheer on a bunch of players chasing a ball around a cold, muddy field. Before this, my most entertaining connection to the game was thanks to Sarah’s Knitted Footballer blog, which demonstrates another approach to expressing passionate interest in a sport. This entry was posted in book review, memoir, Reflective Reading and tagged classes, creative reading, Family History, football, Ideas, inspiration, memoir, Nick Hornby, reading, reading as a writer, strategies, structure, Write, Writers, writing by cath. Bookmark the permalink. I enjoyed this, too, and I hate football, but I think he does show well that the people behind or within an area, no matter how alien or undesirable (boring!) to us can still be interesting. That said, it would take an awful lot to make me read anything relating to golf! Yes, that’s the intriguing thing, it’s the way he’s balanced the football with a character study. I’m with you on the golf, but I’m prepared to be persuaded.